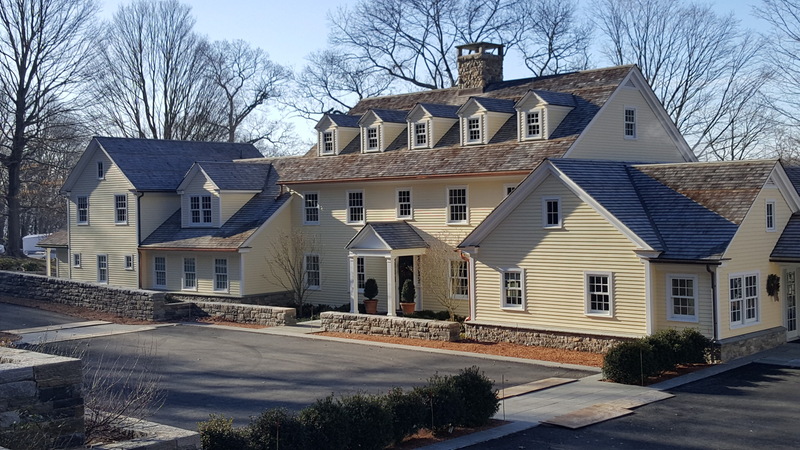 Situated serenely on the Connecticut River in Lyme, Connecticut; this traditional style New England home was built in 2012 by AJ Shea Construction of Essex, Connecticut. 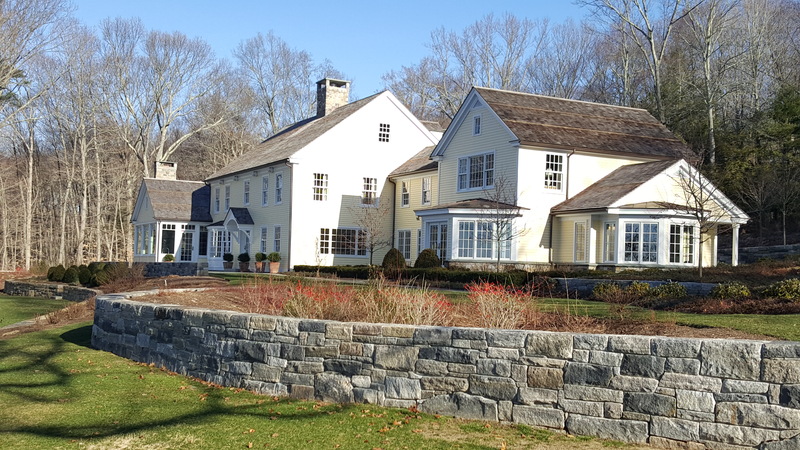 This project was meticulously detailed by George Penniman Architects, also of Essex, Connecticut. The roof is western red cedar 5/8 “ tapersawn shingles at 5” exposure, together with copper standing seam roofing, copper flashing, copper gutters and copper downspouts. The shingles were laid over a ventilating underlayment, that was installed over Grace Ice & Water. 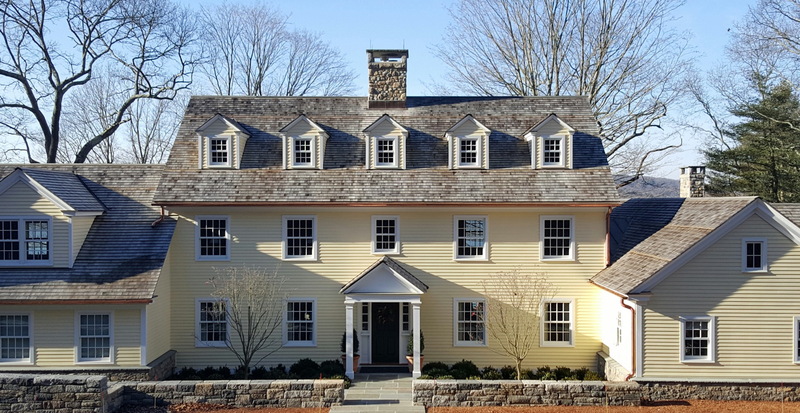 The shingles were fastened with type 316 stainless steel nails. The stone chimneys were expertly flue-flashed and counter flashed with 20 oz. copper. If you look closely you can see that copper strips were strategically placed across the roof. This practice is widely utilized on the southeastern Connecticut shoreline to effectively suppress the unwanted growth of algae and lichen.